Pioneers in the industry, we offer hot crane from India. We are one of the accredited organizations engaged in offering high grade HOT Crane (Hydraulic Overhead Travelling Crane). These are hand operated and travel overhead. Our cranes are well appreciated for high resistant to vibrations, durability, robustness and reliability. We offer these products at market leading prices for our customers. Our clients can also get these cranes as per client's required. 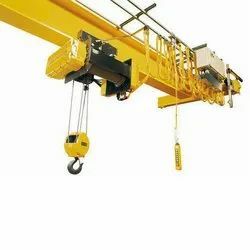 Looking for HOT Crane ?